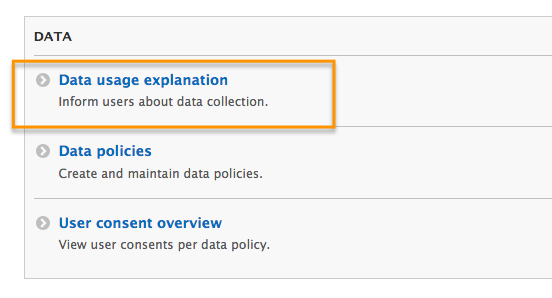 On the pages that personal data is collected (sign up page, settings page and edit profile page), site managers has the possibility to add a block to explain: what data will be collected on this page and why they are needed. 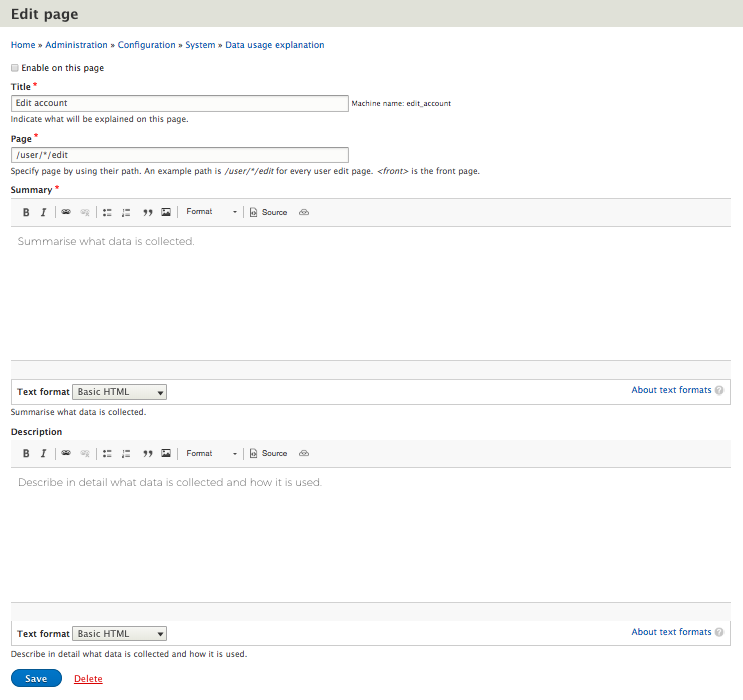 For each page, site managers can enable/disable this block, add a title, a summary and a description to this block. The title and summary will be displayed in the block directly on larger displays. After clicking on the 'read more' button, users can see the full description. On smaller screens such as mobile, users will only see the title of the block directly in order to make it more compact. After clicking on the 'read more' button, users can see the full description.